Wet CO2 and its recovery will put any compression system under stress; the problems arising due to the presence of water need to be addressed in a specific way in order to avoid risks of corrosion or wear. 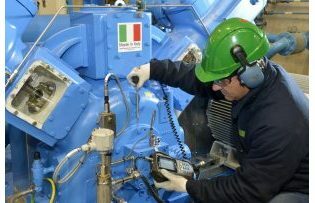 For this reason, thanks to its long experience, SIAD Macchine Impianti has developed a new CO2 piston compressor for the food industry that ensures all the quality standards of the gas, while maintaining high performance. 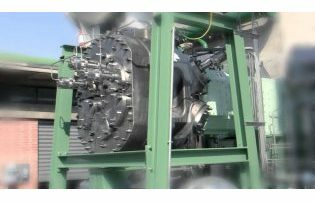 Completely oil-free operation results in a significant improvement in the purity of the gas, thanks to the design of the distance piece and the use of specific materials for food-grade CO2 application. Standard-type cylinders with special coating for wet CO2 application with wide dimensioned cooling water and gas chambers for low velocities out of the gas chamber, little pulsation, and constant cooling. Separator made of stainless steel to drain off the accumulating condensate more efficiently and well-selected materials for dynamically and statically stressed parts. Oil wiper packing, extra-long distance piece, and oil scraper ring mounted on piston rod for an absolutely oil-free compression. Force-feed lubrication for a sufficient oil supply of the points to be lubricated within the driving mechanism. Piston rod in stainless steel with add of special treatment and/or materials suitable to achieve the maximal hardness for its longest life. Liner in Ni-resist cast iron and nickel plated cylinder in cast iron to prevent corrosion inside the cylinder. SIAD Macchine Impianti as OEM (Original Equipment Manufacturer) supplies original spare parts that ensure the optimum life cycle of the compressor, optimizing times, costs, and risks. 1 year complete unit warranty with an optional extended warranty up to 5 years available with a Global Service Agreement.